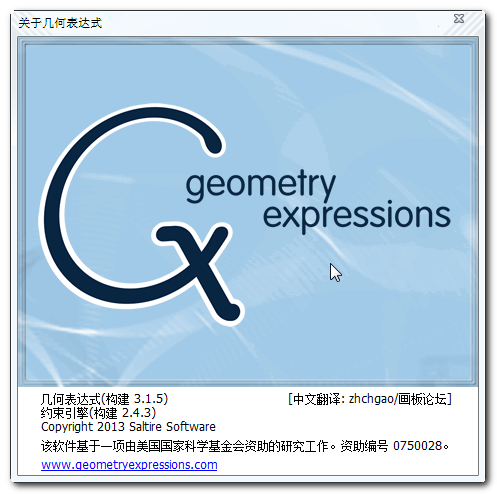 几何表达式3.1出来了，全功能版。 - Geometry Expressions - 画板论坛 主流动态数学画板软件的交流平台 - Powered by Discuz! A new feature in Geometry Expressions that caries over into any generated Applet is the Visibility Condition which lets you show any object under a mathematical condition. Now you are not limited to only one of Constraints, Annotations, or Calculations on a single object. If you like, you can have all three! So, for example, you could have an angle annotation on the supplementary angle of a constrained angle. two new Built-In Functions - ceil() and floor(), a handy way to convert a value to an integer. GMT+8, 2019-4-26 00:10, Processed in 0.055091 second(s), 5 queries.